MONTREAL, April 11, 2013 /CNW Telbec/ - David Nish, chairman of The Standard Life Assurance Company of Canada ("Standard Life Canada"), is pleased to announce the nomination of Sheelagh Whittaker as an independent director of Standard Life Canada and two affiliated companies, effective June 1, 2013. Ms. Whittaker has served as an independent director of Standard Life plc, the parent company of Standard Life Canada, since September 2009 and has been a member of its risk and capital, remuneration, nomination and governance, and investment committees. She will retire from that position at the conclusion of the annual general meeting on May 14, 2013. Upon announcing her appointment to the board of Standard Life Canada, Mr. Nish said: "I look forward to continuing to work with Sheelagh as we focus on implementing our strategy in the evolving market environment of Canada." A well known Canadian business executive, Ms. Whittaker was born in Ottawa and raised on the Prairies. 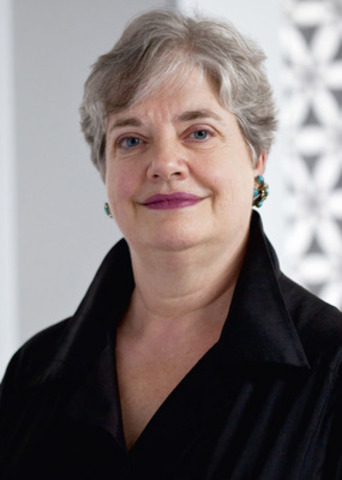 From 1993, she was a corporate officer of Electronic Data Systems Inc of Plano, Texas, working in key leadership roles, initially as President and CEO of EDS Canada, then as Executive Vice-President in Asia Pacific, before transferring to London where she served as Managing Director until her retirement in 2005. She spent much of her early business career as a director and partner with The Canada Consulting Group, now Boston Consulting Group. She subsequently became Vice President, Planning and Corporate Affairs, at the Canadian Broadcasting Corporation and then President and CEO of Canadian Satellite Communications Inc. (Cancom). Ms. Whittaker, who has served as a director of corporations in four countries, remains an independent director of Imperial Oil Limited where she chairs the corporate governance and nominations committee. She is also the author of The Slaidburn Angel published by Dundurn in 2012. Standard Life plc is a leading long-term savings and investment company headquartered in Edinburgh, Scotland. Standard Life has around six million customers worldwide and operates in the United Kingdom, Europe, North America and Asia, and globally with Standard Life Investments Ltd. In Canada, Standard Life has been doing business for 180 years. It operates under Standard Life Financial Inc., which wholly owns The Standard Life Assurance Company of Canada and Standard Life Mutual Funds Ltd. It is Standard Life plc's largest operation outside the UK with about 2,000 employees. It provides long-term savings, investment and insurance solutions to more than 1.4 million Canadians, including group retirement and insurance plan members. As of December 31, 2012, Standard Life plc had $353 billion in assets under administration, including $45 billion in Canada through Standard Life Financial.